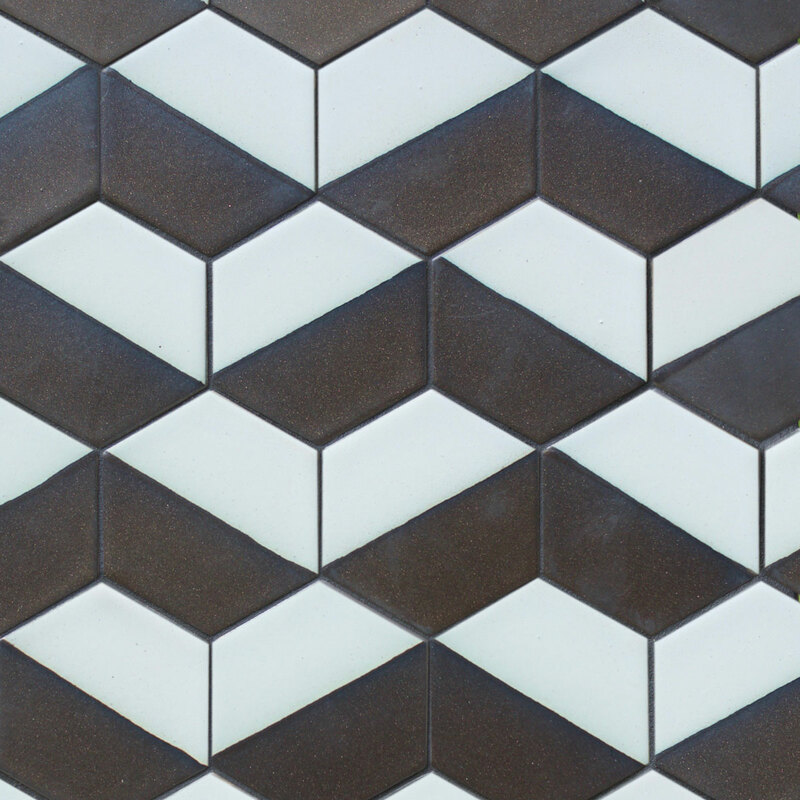 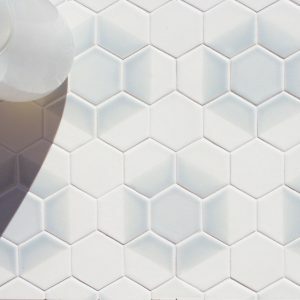 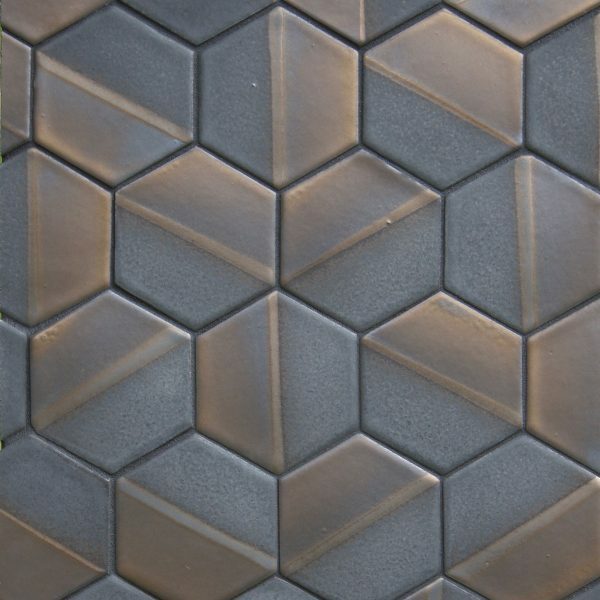 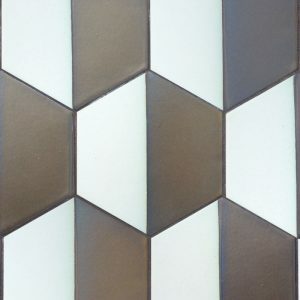 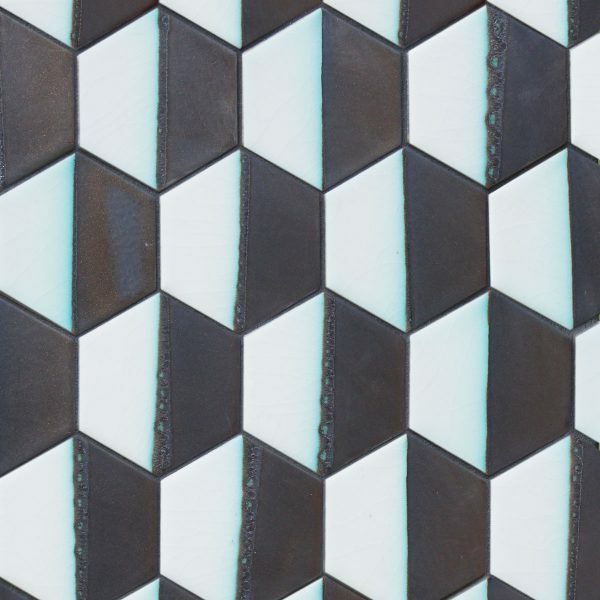 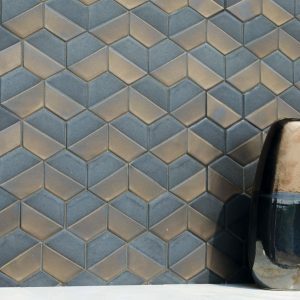 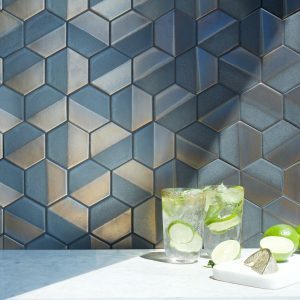 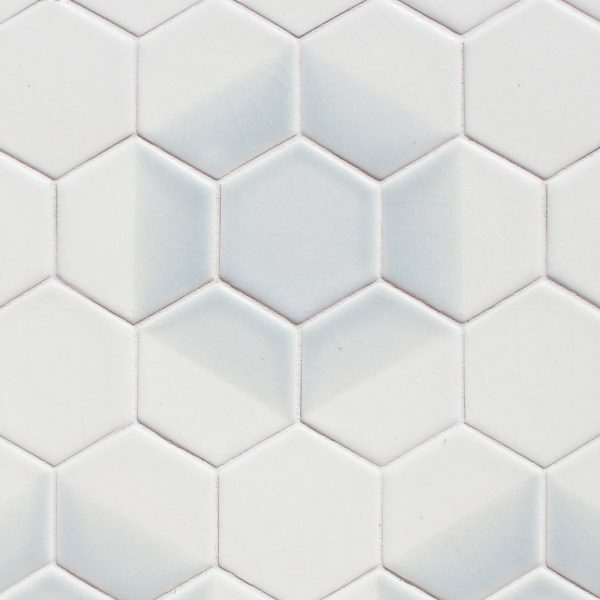 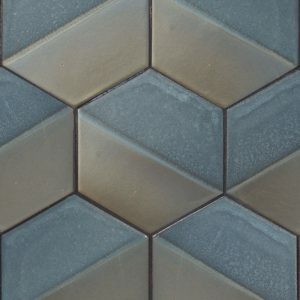 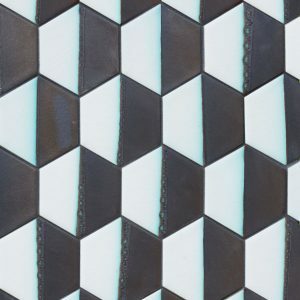 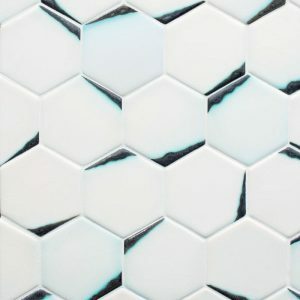 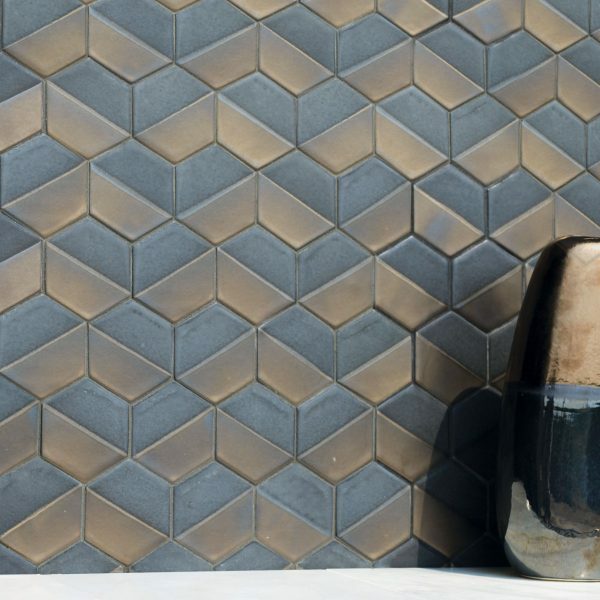 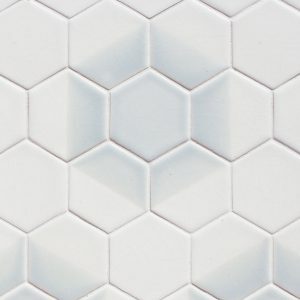 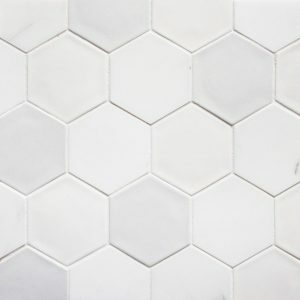 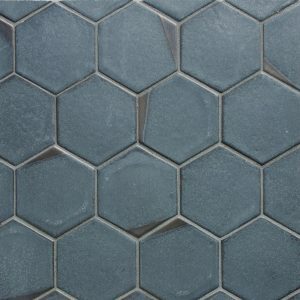 Hexagon 3.5″ Cookie dip mosaic is ordered by the square foot. It is assembled into sheets approximately 14″ tall by 12″ wide (1.16 square feet per sheet). Hexagon 3.5 Cookie dip is show in Rodin colorway as a chevron pattern. 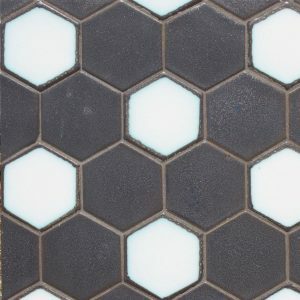 Hexagon 3.5 Cookie dip is show in Rodin colorway, randomly set. Hexagon 3.5 Cookie dip is show in Newman colorway as a chevron pattern. 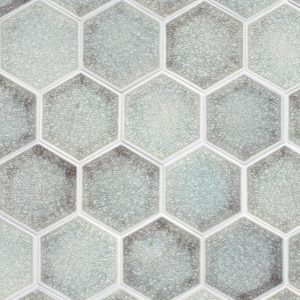 Hexagon 3.5 Cookie dip is show in Monet colorway as a vertical pattern. 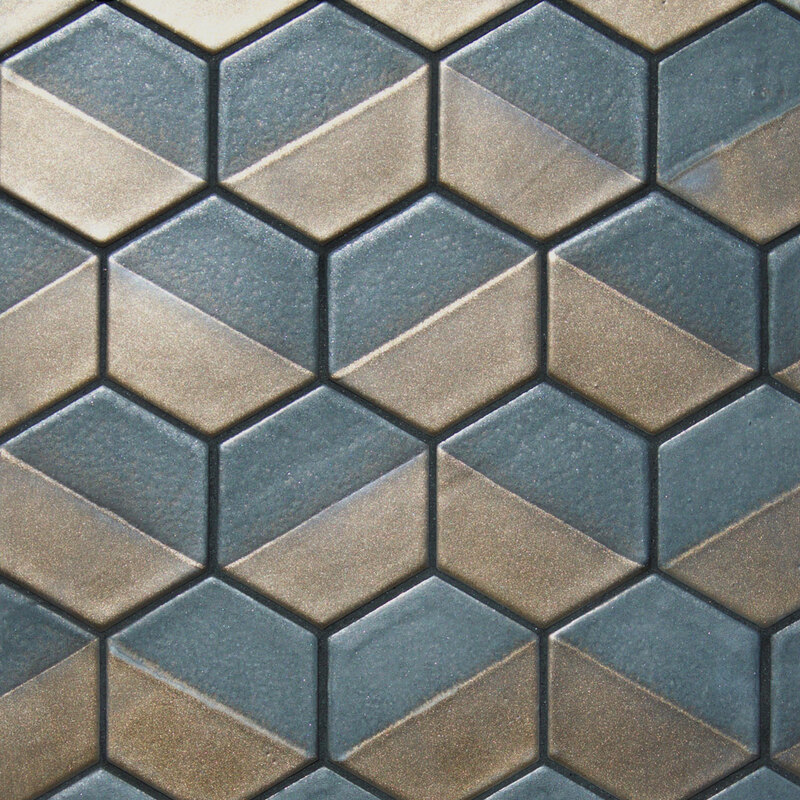 Hexagon 3.5 Cookie dip is show in Turner colorway as a hexagon pattern.